Proverb 14:12 reads, "There is a way that seems right to a man, but in the end it leads to death." Does the message seem clear? Or did you get the message? Just in case you are not sure, or you did not get the message, consider Proverb 16:25 which also reads, "There is a way taht seems right to a man, but in the end it leads to death." Why the repetition? To be a leader means 7 rebirths of a servant. 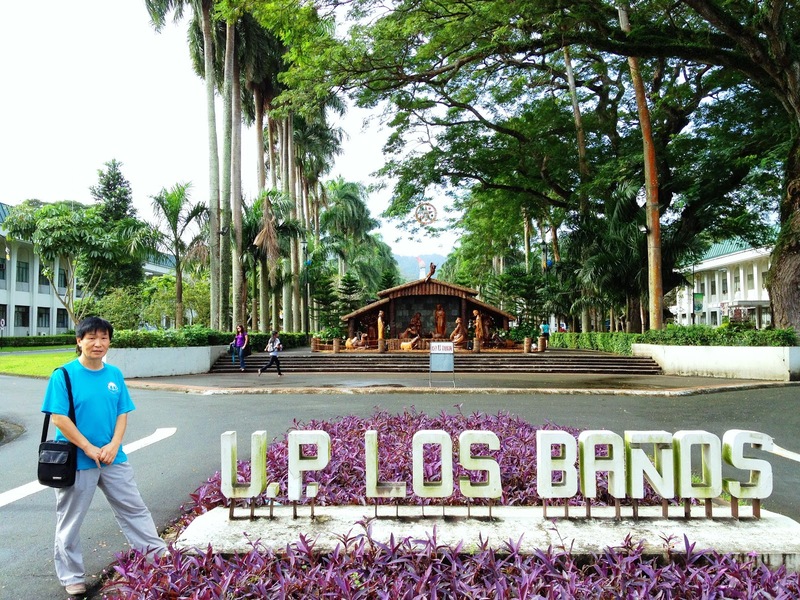 UPLB offers 27 undergraduate and 82 graduate degree programs through its nine colleges and two schools.Majority of the programs award science degrees. It also awards high school diplomas through the University of the Philippines Rural High School (UPRHS), a subunit of the College of Arts and Sciences, which acts as a laboratory for its BS Math and Science Teaching students. The College of Arts and Sciences has the largest student population and the largest number of undergraduate degree programs, while the College of Forestry and Natural Resources has the least number of programs (one). BS Agricultural Biotechnology, introduced in 2010, is UPLB's newest undergraduate degree program.Several degree programs that have been proposed include Chancellor Aspiras's BA History, BA Political Science and BS Landscape Horticulture, and National Scientist Teodulo M. Topacio Jr.'s comparative medicine program. I am glad to meet all of you. It is always exciting to meet new friends because of all the creations, each human being is the crown of God's creation. And each person is different. No two persons are the same. Each person is God's master piece. Today we would like to think about why we ought to study the Bible. I came from Los Angeles. I attended a conference in S. Africa. Then before I came to Manila, Dr. Paul Koh asked me to talk about why we need to study the Bible. I think this is an excellent question, for studying the Bible is the key to knowing who we are and what we are. In this world there are many books. But unlike all other books in this world, the Bible is different than all of them in that its author is God himself. God is the Creator of all men. So since God is the Creator, and he gave us the Bible, when we study the Bible, we can know who we are and what we are. Figuratively speaking the Bible is the owner's manual of life - the manual that helps us understand what our life is all about. I am not sure how many people in this room own a cell phone. If you buy a cellular phone, the manufacturer provides you with an owner's manual. Before you use it, you read the owner's manual. Then you can enjoy the cellular phone better. The Bible is just like the owner's manual for life. Unlike a cellular phone, man's life is a lot more sophisticated than any other machines. In fact you and I are more sophisticated than all the computers combined. Although man's life is more sophisticated and delicate than any creatures, the Bible has a wonderful way for us to understand really good what our life is all about. And today we would like to think about this wonder of God by reading one Bible passage that is, John 5:39. Let us open the Bible and read the passage. You diligently study the Scriptures because you think that by them you possess eternal life. These are the Scriptures that testify about me. Notice here that Jesus is talking to his Bible students. This passage says that the Lord God designed the Bible in such a way that we can easily understand not just what our life is all about but also the way to have life that is 'eternal'. And the Lord God did this by presenting to us the Son of God called Jesus. In John 5:39 Jesus shared two points: point no. 1 -- by studying the Scriptures (the Bible) you possess eternal life. That is right. The Bible shows us how to have the eternal life. Point no. 2 -- the Lord God gives you eternal life through His Son Jesus. That is what Jesus means by saying, "these scriptures testify about me." So the Bible is all about Jesus Christ through whom we receive eternal life as a gift. There is one supreme example to understand how it works. Let us go to the book of Numbers 25 and read it responsively. "He and his descendants will have a covenant of a lasting priesthood, because he was zealous for the honor of his God and made atonement for the Israelites." In this passage we see something very interesting: The Israelites committed the sin of sexual immorality, right? Due to sins committed, God caused the plague to spread, so people started to die. And the number increased like 1,000, 2,000, 3,000, and the plague did not stop, so the casualties increased to even 24,000. Imagine 24,000 people dying in a matter of few days! Then, all of sudden the plague stopped. Why? We know the answer. Phinehas killed the Israelite and the Midianite woman in holy anger. Here a question arises: why did this act of holy anger stop the plague? What is so special of his holy action? We find the answer to this question in "a covenant of a lasting priesthood". As Jesus mentioned the covenant of a lasting priesthood testify about Jesus the Son of God. Phinehas the son of Aaron the priest is the pre-figure of Jesus the true Priest. Priest stands between God and sinners. Standing between the two, the priest makes peace so God and sinners can reconcile the differences. Then as the two restore a peaceful relationship with each other, God who is the source of eternal life gives the forgiven sinners eternal life. So just as Phinehas in holy anger intervened, and the plague stopped, so also about 2000 plus some years ago, our Lord Jesus came Israel, and in his holy zeal to honor God's name, he offered died for our sins on a tree. He was sinless. You know sin grieves God so much that he cannot bear even a hint of sin. So he cannot help put punish the sinners not because he hates man, but he hates sin. Jesus understood God's holy character, so instead of leaving God to murder all sinners and send them to eternal hell fire, He offered himself as an atoning sacrifice for all the sins of all the sinners. So for all who sincerely repent of their sins, believe in Jesus, and turn to God by faith in God's sin-forgiving love, God not only forgives them of their sins but also cleanses them of their sins, so they would no longer sin, but leave the life of sin, and have eternal life in Jesus. In John 3:16, the Lord God explained the way of eternal life more fully, "For God so loved the world that he gave his one and only Son, that whoever believes in him shall not perish but have eternal life." Today then we learned two things: first in order to possess the eternal life we need to study the Bible; second, we can find the eternal life in and through Jesus. Now here is the homework for you because the Bible is all about Jesus whom God sent to give you the eternal life, you must diligently study the Bible, knowing that all the Scriptures testify about Jesus who came to give you eternal life. Conclusion: the Scriptures testify about Jesus. God sent Jesus to give us eternal life. So let us study the Bible diligently to know more about Jesus who came to give us eternal life. I am glad that we could gather here in a new mission field Bagio and have a Sunday worship service. let us read v. 19. "After a long time the master of those servants returned and settled accounts with them." This passage refers to the judgment day to come. We do not know when Jesus will come back. But he will come back for sure. When he comes back, he will 'settle accounts' with all of us. He will take a look at what we have done with what he gave us. Most of us here are seniors. Those who are senior have one common problem: no one asks him or her to do this or to do that. Because you are a senior, no one comes to say, "Hey, why don't you go out for fishing?" So we tend to relax. But we must remember that our Lord Jesus is our master. He will come and settle accounts. When we are aware of this day of reckoning, we cannot relax and goof around. And I think this is first and foremost important point for us to remember in living a fruitful life. Look at v. 14. "Again, it will be like a man going on a journey, who called his servants and entrusted his property to them." When we think about this passage together with v. 19, we can easily understand that we have a limited period of time to work for the Lord. Our Lord Jesus died and rose again more than 2000 years ago. We do not know when he will return. In the meantime as we wait for his return we have a limited time to work for the Lord. As of this year, I am 63 years old. I realize that my time is more limited than the time all of you have. So I think I need to make the most use of the time. In v. 14 we see the word property. In other verses we see the words 'talents', for some received more some less. But everyone received something. Most importantly we received the gospel. Gospel is the treasure of all treasures. It comes with all surpassing power that is from God. With the gospel we are called to use all of our other resources and work to save souls into the family of God. What is important here is to know that at least God gave each of us something to work with, and God wants us to use what we have, not what we do not have. Another point for us to consider here is that God wants us to use 'all' of our resources, not some of the resources. To some he gave 5 talents, some 3 some 1. The one who received 5 ought to use all 5, not just 4 or 3 or 2 or 1. We can understand this concept from the expression "according to his ability." Some do not know what he or she is able. Some know what they are able, but due to their sin problems, they let their talents go idle. Either way, as one deeply repents and turns himself to God, God fills him with His Spirit who in turn empowers him to do what he was otherwise unable. Personally as I grow old, I used to think weak thoughts saying, "Oh, you are getting old. You cannot do things as well as you used to do." But as I prayed I realized that this idea is only a human thought. It is not a faithful thought. So I learn that daily I need to repent of my own human thoughts, and live by faith in Him, for the Apostle Paul said in Ephesians 3:20-21, "Now to him who is able to do immeasurably more than all we ask or imagine, according to his power that is at work within us, to him be glory in the church and in Christ Jesus throughout all generations, for ever and ever! Amen." Look at v. 15, "To one he gave five talents of money, to another two talents, and to another one talent, each according to his ability. Then he went on his journey." Let us take a note of the phrase 'at once'. This phrase reminds me of the loss I suffered during my journey to S. Africa then to the Philippines. Because of the bad habit of procrastination I suffered two important losses. Each time I subscribe to a program on the Internet such as Dropbox.com utility, I know I need to write down the UserID and the password. But I procrastinate. Then when I try to log in next time, I do not remember. So I had to reset the ID or Password all over again. This happened so many times. So finally I prepared a small notebook where I wrote down all of my UserID and Passwords. Overtime the number of ID's and Passwords grew, so more than two pages got filled up. Then, as I embarked on the journey, I said to myself, "You must make a copy of the notes". Normally it would take a few minutes. But I procrastinated and procrastinated. Then I packed my bags where I put the notes containing all the UserId's and passwords. I put them in a file folder. And lo and behold. At the S. African Directors' Conf. Site, I lost the folder. The same thing happened to me in regard to the note I took down at the S. African Directors' Conference. There after the regional directors' meetings, they came up with the programs. They put all the programs in a piece of paper and distributed. That night I had the urge to sit down and write a detailed journey report based on the information I wrote down on the paper. But I procrastinated, and procrastinated. 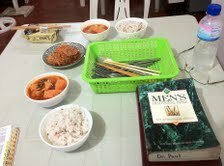 Finally when I came to Dr. Paul Koh's UP UBF Bible center, I thought the time came for me to work on the report. It was last Tuesday. In the morning Dr. Paul went out to Manila to visit a sheep who is in a hospital. I was left by myself, and I sat down to work on a report. Then I looked, and looked. I looked everywhere, and the paper was gone. I lost it. I don't know where I put it. This is what happened when you procrastinate. You think now is not the right time to do God's work. You might think now is not the right time to go out fishing. Or now is not the right time to do any work of God. So you procrastinate, procrastinate, and procrastinate. Then by the time you think finally the time came, you know it is too late. Let me share with you the story of Byung Cheol Lee the founder of Sam Sung Company. He died at the age of 77. At the age of 75 he contracted a cancer. So he was hospitalized. He saw the time for him to die down the road. So he pulled out a piece of paper and there he wrote down 24 questions in life. The questions included: 'Does God exist? If God exists why does he not reveal himself? If indeed God exists why does he allow so many problems like cancer or death in this world? The Bible says, it is harder for a rich person to go to heaven than a camel to go through the eye of a needle. Is it evil to be rich?" He neatly wrote down the 24 questions in five pages of letter size. He handed over the notes to his secretary asking him to deliver the notes to a Catholic priest, so he could answer the questions. The priest was pleased to see the questions. So he worked on each of them. Then he could have contacted the chairman earlier than ever. But he procrastinated, and procrastinated. Finally after two years, he was ready and he set up an appointment with the chairperson. But two hours before the time of appointment the chairman died at the hospital. He died without having the opportunity to hear the gospel. Here, the expression 'a few things' is the key. It has been said, "small thing is not small"; in fact all that are great consist of a number of small things. God does everything well for he is faithful to what is truly truly small. As I sit at the Dr. Paul Koh's Bible center, I saw a lot of ants crawling up and down. And these ants are truly small. As I thought about them I realize that they are truly diligent. They are hard workers. They work hard. Compared with what they do I realized that I am a fat lazy person. I am so called a human being the crown of creation. Yet, when I go lazy, doing nothing with what God has given, what good is my life? So I repented and started writing a sunday message that after noon. Then Dr. Paul Koh came back from the trip. Then all of sudden outside at the unit next to the Dr. Paul Koh's Bible house, students gathered and started making noise. Then, Dr. Paul Koh asked me to share with them the ball pens the gifts Downey UBF coworkers gave. I stopped working on the message, went out and asked each of them if they want to have a Bible study. All of them said, "Yes." Then I gave them ball pens. They are all UP students. And I took a picture with them. In v. 21, after commending the good work for the good and faithful servant, the master said, "Come and share your master's happiness.ness!" This is the reward of all rewards. Salvation of one lost soul is the source of true happiness. We see the same joy of the father of a prodigal son. When the prodigal son came back the father was so joyful that immediately he opened a banquet. Similarly in Luke 15:10 Jesus says, "In the same way, I tell you, there is rejoicing in the presence of the angels of God over one sinner who repents." So the Lord God wants to save one lost soul. And no joy is greater than the joy the Father has in saving one lost soul. Last, but not least point in living a fruitful life is to overcome the fear of loss. Look at vs. 24-25 "Then the man who had received the one talent came. 'Master,' he said, 'I knew that you are a hard man, harvesting where you have not sown and gathering where you have not scattered seed. So I was afraid and went out and hid your talent in the ground. See, here is what belongs to you.'" In this passage the lazy and wicked servant made many excuses. But the real problem he had seems to be the fear of loss. He did not want to lose. So he hid it. This fear of loss expresses itself in many different ways. One is the fear of failure. In Downey we have a Bible center. At first it was a Greek Restaurant. The owner was a Greek. He defaulted on the loan. The lender was not a bank but a lawyer. The man foreclosed on the property. A lot of people wanted to buy the property for the price and location were all good. But, not all could make an offer, for even after you open an escrow, put up a deposit, still you need to stand in line with other bidders. And if any one with bidding a higher bid shows up, you lose the whole deal. Then by faith I put up a deposit, and stood in line. Then the day of auction came. Then no one showed up to compete with me. So we could acquire the title. The same is true with fishing sheep or going out to a mission field by faith. 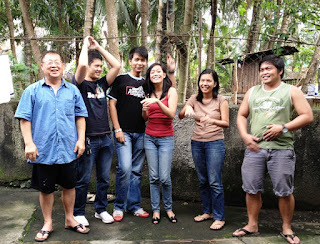 Personally I thank God for the missionaries operating in the Philippines. This mission field comes with lots of difficulties. So not many people make a move. But by faith some missionaries came to this land. May the Lord bless them to share the gospel and build the ministry of God thirty times, sixty times and even a hundred times. Happy New Year! I was glad to see Missionary Maria Lee yesterday. She became younger after the surgery! Once upon a time the British historian Arnold Joseph Toynbee examined 21 civilizations and came up with the conclusion as to why some civilizations are prosperous and still going, some perish and are no more . He reduced the conclusion with two words: challenge and response. He discovered that it is not the challenge but the response that makes the difference. In African soil we are faced with numerous challenges. Yesterday while seated at a dining hall for an eating fellowship, Missionary James Lee of S. Africa mentioned the challenging condition of the road system in Africa. In many places, the road system is so poor that it is impossible for the interstate commerce to move freely. So I said, "Well, we can pray that one of our UBF members becomes the President of S. Africa, so he can establish a rally among all African Presidents, form a Pan African joint venture, and build a fabulous road system far better than Autobahn throughout the African continent, and then it will be a matter of time that Africa would be the next super power nation." Then, Missionary Daniel Rhee said to me, "Why don't you run for presidency?" I think his response was a little bit cynical, but at least he "responded" in a way that is positive. What do you think? What kind of challenge did Joshua have? We know the answer - the wall of Jericho with doors tightly shut standing in the way. Let us also read 5:10. Manna stopped. What does ‘stopped’ mean? It means what it says. Notice that the army already crossed the Jordan River. They burned the bridge behind. Their enemies stockpiled their food inside the wall. The Israelites ran short in food supply.The Israelite soldiers could not afford the Jericho battle dragging on and on. The key factor was the duration of the battle: is it going to be a long battle or a quick battle? Joshua needed to come up with the way to take down Jericho 'quickly'. A lot of people say a lot of bad 'habits' Korean people have, and one of them is the habit of saying, "Palli, Palli" (meaning ‘quickly’). But it is not always bad to get things done palli palli. Sometimes you need to get the job done real quickly. And Joshua needed just that. And it was not an easy task. In fact by any human calculation it looked impossible to take down the Jericho wall as quickly as they needed. Yesterday the Lord did great works among us. I think the Lord blessed the Bible study on II Kings 2:9. Coworkers were filled with the double portion of the Sprit that we were able to make important decisions in a record period of time: we successfully chose the key verse for the upcoming African Three Regional Summer Bible Conferences. The theme also came out quickly, that is, Acts 1:8, "You will be my witnesses". 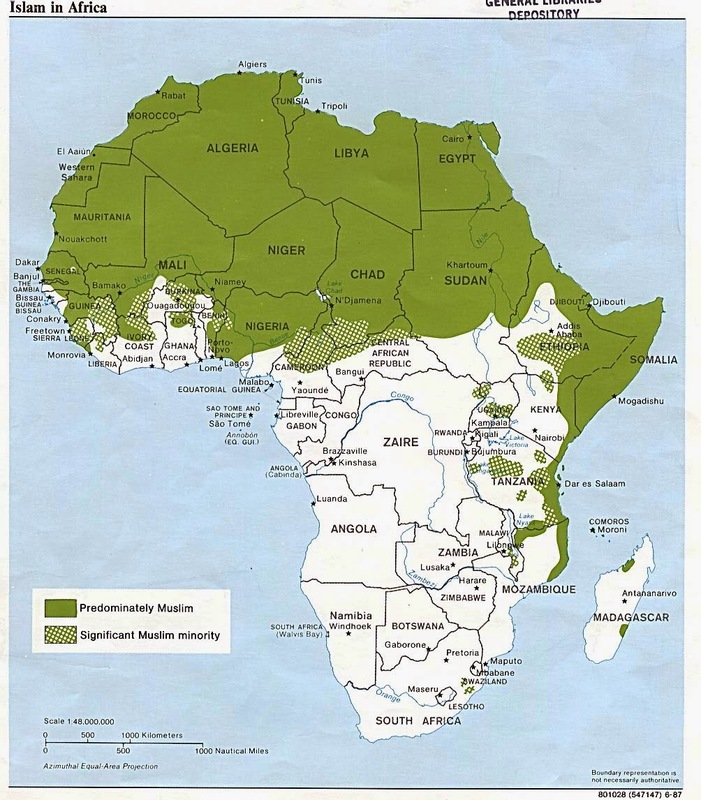 The prayer topics, direction and vision also were decided: raise up disciples as witnesses of our Lord Jesus; and establish missionaries to fully pioneer the 55 African nations! At the regional directors' meetings, the Holy Spirit worked powerfully that directors in the region speedily fixed the three regional conference programs. We also established the frame work and venue for the "2013 UBF Africa New Year Conference." Missionary Timothy Chung gracefully and joyfully hosted the conference in Tanzania at the Beach Side Hotel. Next year, we look forward to having a beautiful beach party just like our Risen Jesus had with his beloved disciples. I have attended a number of business meetings in UBF, but the processes and results were not as quick, efficient, and pleasant as the Lord blessed us to have yesterday. I think it is thanks to the leadership among us, and the spirit of love working among the African coworkers. But that does not mean that the challenges we have grew way smaller. In fact the exact opposite is true. Dr. John Jun said, "Africa is the mission field of mission fields." [That means the world-mission work in this land is by far most challenging.] Yesterday Dr. Luke Lim pointed out that there are 55 African nations, and we barely reached out to one fourth of them. Now after the Sunday worship, we are ready to go out to meet the challenge. Question: am I really ready?? So the question before us is "How are we going to meet the challenge?" Look at v. 13. Since Joshua could not afford a prolonged battle, and since the doors to the Jericho wall were shut, the only alternative was to attack. But in terms of odds, it is ten times harder for an attacking army to win than the army that defends to win. By all odds they were so handicapped that it was not likely that they will win. Since the Israelites' fighting men were all circumcised, and the healing was yet to be done, it looked impossible for the soldiers to climb the wall and do the fight. Facing the challenge a lot of thoughts must have crossed the mind of Joshua. Yes, he was the leader, and unless a leader moves the followers do not move. So he had to make a move. But he did not know what to do. He was in a dilemma. Yet according to an old saying, "When you do not know what to do, do something”, he did something. I think that day he woke up early and went out towards Jericho. Then lo and behold! He looked up and saw a man standing in front of him with a drawn sword in his hand. On seeing him, I think Joshua was startled to death. But he quickly put him together. He went up to him and asked, "Are you for us or for our enemies?" What did the man say? Look at v. 14a. "Neither," he replied, "but as commander of the army of the LORD I have now come." How did Joshua respond? Look at v. 14b. "Then Joshua fell facedown to the ground in reverence, and asked him, "What message does my Lord have for his servant?" What did the Lord say? Let us all rise and read v. 15. "The commander of the LORD'S army replied, "Take off your sandals, for the place where you are standing is holy." And Joshua did so." First, we need to be aware that the battle is the Lord’s battle, so the Lord himself fights the battle. Neither, he replied. As commander of the army of the Lord, I have now come. Joshua thought he was the man in charge. But this passage reveals that there is another commander. In a physical realm, a number of Israelite soldiers were encamped in the field ready to fight. But the passage says that at that particular moment in a spiritual realm there was another army that came out ready to go and fight. They were ready to take down the wall, finish the job, and open the way to the Promised Land. This heavenly army was not visible to naked eyes for several reasons. One reason is that it helps Israelites to live by faith. Another reason would be that if they were made visible, it would be distracting to the Israelites. The truth is that the army that is not visible is superior to the army that is visible. And each time his children are called to go out and do the fight, the Lord himself goes out and does the fight. Last night we studied on Elisha. The Prophet Elisha explains this phenomenon. Shepherd Christian, please stand up and read 2Ki 6:17 for us. Why then did the Lord come out? The answer is obvious. The Lord came out to serve His cause. That is why the Lord came out that day with a drawn sword. Just as Joshua was determined to take down the Jericho so also the Lord was determined to take it down. Can Missionary Joshua Surh please read Genesis 15:16? So the wickedness of people of the land reached its full measure. The time for them to repent was up. The judgment time came. So the sword was 'drawn' ready to smite the people of Jericho. In our own generation in each of our places, the believers are faced with lots of challenges. And we have Jericho walls standing our way in many different forms: Jericho walls inside, Jericho walls outside. But let us remember that they are not just our own Jerichos but the Lord's. This awareness already prompts us to think about what the Lord might think of the challenges we are faced with. This awareness is critical to winning the Lord’s battle. Second, we need to make it sure that the Lord does not fight 'against' us, but 'with' (not ‘for’ but ‘with) us. When we examine the battles described in the book of Joshua (and in the history of kings of Israel), unbeknownst to the Israelites, in many of the battles, the Lord fought ‘against’ them. Then how can we make it sure that the Lord does not fight against us, but with us? We find a clue to the answer to this question in the conversation between the Lord and Joshua. Joshua fell facedown and asked, "What message does my Lord have for his servant?" Apparently Joshua expected the Lord to share with him a strategy. What did the Lord say then? Look at v. 15. "The commander of the LORD'S army replied, "Take off your sandals, for the place where you are standing is holy." And Joshua did so." When we think about this passage together with vs. 13-14, we can say that the Lord wants Joshua to be on the Lord's side first, and then the Lord can work with him. When you think about it this order makes complete sense, for if you are God's enemy, doing what God hates to do, then why should God share with you the "insider" information? Insider information such as the strategy to take down the Jericho is only for the "insiders" not outsiders. So in fighting the Lord's battle, we must be aware that there are only two camps: the Lord's camp and the camp of the enemies of the Lord. So we need to stand on the Lord’s side. We should not put one foot in this world another in the Lord. We must put both of our feet on Jesus’ side. Practically then what does it mean to take off our shoes (or sandals)? Does this mean that we go around the campus barefoot? When we offer ourselves to the Lord as living sacrifices, the Lord transforms us from a state of brokenness into the state of wholesomeness, from that of imperfection into the state of perfection. As we approach the throne of God's mercy trusting in our Lord Jesus’ blood sacrifice, the Lord gracefully forgives us and cleanses us of our sins. He heals us of all the wounds and scars. He makes broken souls to be strong and sound. He turns otherwise wounded soldiers to be renewed in their strength, so they will soar on wings like eagles; they will run and not grow weary, they will walk and not be faint. In conclusion, on this New Year’s Day, we fall facedown and ask the Lord, "What message does my Lord have for his servant?" The Lord answers: "Take off your sandals for the place where you are standing is holy." Joshua did so. Like Joshua on this New Year's Day, let us take off our sandals.